Re-Animator is very bloody and full of loose body parts all over the place, but still, it's not scary in the least. It's simply good old gory fun! Directed by the H.P. Lovecraft obsessed Stuart Gordon, and produced by the totally twisted Brian Yuzna, Re-Animator marks the peak of both their wonderful careers. Jeffrey Combs was born to play the part of the mad scientist, and his role in this basically created his career. The music by seasoned veteran Richard Band is also worth mentioning, though it might not be something you care to listen to on its own, it is certainly a melody you'll remember. 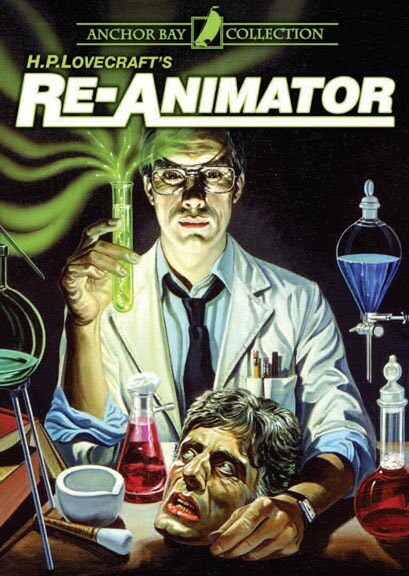 Several sequels have been made, with more in the works, but the second, Bride of Re-Animator, is the only one worth bothering with.